Many audio enthusiasts who are looking for personal audio equipment ask if noise-canceling headphones are worth it. It’s hard to answer the question with a simple “yes” or “no,” but we can definitely point you towards the best noise canceling headphones for 2019. There are over a dozen reputed manufacturers to choose from and many offer unique features that can enhance your audio experience. What is Noise Canceling Headphone and Why Do You Need Them? All good noise canceling headphones come with built-in microphones and some hardware processing which creates an opposite sound of ambient noise headed to your eardrums. This “opposite wave” is sent through the headphone drivers which help cancel out intruding sound waves ruining your audio experience. For example, if you are on a busy street a good pair of noise canceling headphones will send inverse audio waves into your ears to ensure the background noise does not ruin your music experience. Even the best headphones in the world are not capable of offering 100% noise cancelation. Low soundwaves are quite easy to cancel out while high-frequency sounds can’t be blocked out completely no matter how good your headphones are. A good pair of noise-canceling headphones can shut out most of the ambient noise quite effectively. Some headphones also come with noise isolators which help with mid and high frequencies. If you want a noise-free audio experience then noise canceling headphones are perfect for you. We look at some of the most important deciding factors when choosing our recommended noise canceling headphones including comfort, sound quality, features, weight, and value for money. It’s not about just getting a pair of cans that sound the best, they need to be comfortable for long periods of usage and have enough features to make the cut into our list. We have attempted to put together what we feel are the ten best noise canceling headphones at varying price points. Our list will help you find the right headphones no matter what your budget is. If the oversaturated marketplace and marketing gimmicks are giving you a hard time choosing the best noise canceling headphones for your budget, we hope our list helps you make the right choice. Bang and Olufsen’s Beoplay H8 offers an on-ear design meant to offer you the best-in-class audio experience without compromising on comfort. 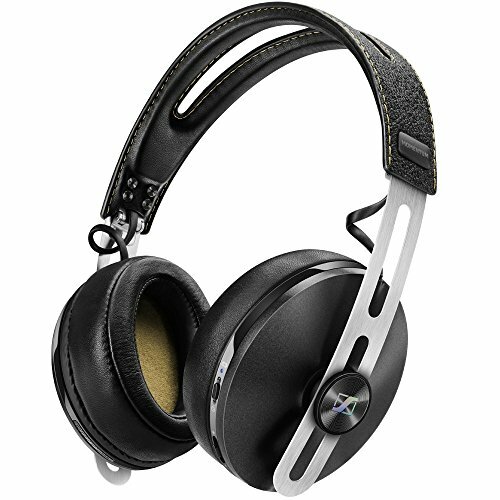 The headphones feature metal construction that is covered with premium leather and sheepskin earcups. Bang and Olufsen decided to include memory foam on the earcups for maximum comfort. It is one of the most premium on-ear Bluetooth headphones out there and offers amazing noise canceling features. The box comes with a cloth carrying pouch, a charging cable, and the usual documentation. Beoplay H8 is one of the most expensive on-ear headphones out there. The H8 is quite compact and weighs just over 250 grams. Aesthetically, it looks premium and is surprisingly comfortable for its on-ear design. The rechargeable battery is rated for up to 14 hours of continuous music playback with Bluetooth and noise canceling enabled. Battery life of the headphones is quite great if you turn off Bluetooth. You can get up to 35 hours of usage with noise cancelation in wired mode. 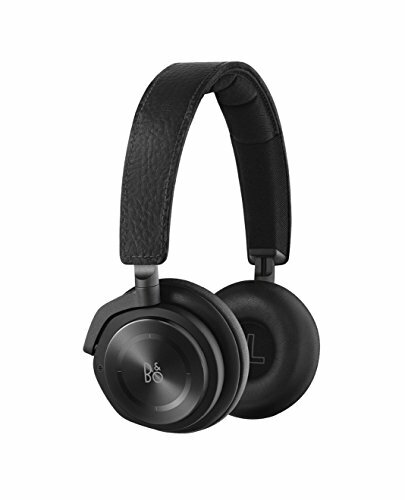 Proprietary active noise cancelation technology designed by Bang and Olufsen. The aluminum touch interface for intricate media controls. 14 hours of battery life in wireless mode with ambient noise cancelation enabled. Lightweight design at only 255 grams. One of the standout features of the Beoplay H8 is the ability to remove and replace the battery which is something most high-end headphones do not offer. The sheepskin earcups are very comfortable, but the headphones are not recommended for warm climates. The right earcup includes a touch interface with built-in gesture controls that allow you to control media playback and manage calls. The control panel is quite sensitive and easy to use. Bang and Olufsen have included AptX technology which claims to improve sound quality when streaming via Bluetooth. The support for AptX is limited to some Android devices like the Samsung Galaxy lineup. The audio output requires Bluetooth 4.0 for optimal performance. Pairing the device is a breeze, and it connects with compatible devices in seconds. When it comes to audio quality, the Beoplay H8 offers a decent amount of bass while retaining clarity. While the treble performance turns out to be quite warm, connecting the headphones in wired mode can greatly reduce the treble edginess. Noise cancelation works quite great, and it manages to shut out most ambient noises you’d expect on a daily basis while traveling. The sleek and sturdy design of the headset makes it a great travel companion. You can listen to music for hours without feeling any discomfort. The battery life is stellar, and performance is never an issue with great audio quality and noise cancelation. The headphones are quite expensive when compared to its over-the-ear competitors. The Beoplay H8 is also not recommended for people who intend to use it in warmer climates as the sheepskin earcups can get quite hot. Also read: Beoplay H8 review in detail. If you are looking for noise canceling headphones with wireless capabilities and noise canceling features, the H8 is one of the best options out there. The premium built quality and touch-panel make the headphones feel premium, and it is a great all-round package. 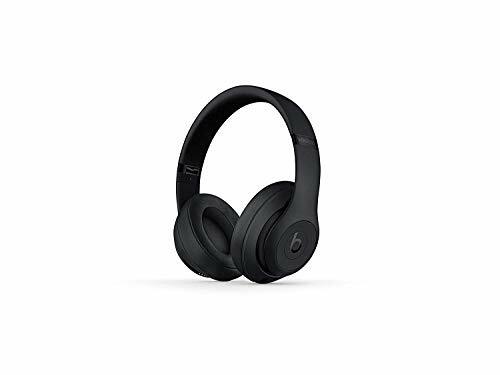 With most wireless noise canceling headphones being placed at premium price points, Plantronics Backbeat Pro 2 is one of the most affordable noise canceling headphones out there. The BackBeat Pro 2 offers all of the premium features you’d expect at an affordable price. If you are someone who simply wants more performance out of your noise-canceling headphones instead of being picky about aesthetics, the Plantronics headphones are one of your best options. The outer headband of the Backbeat Pro 2 is made of vegan leather. The dark brown color makes it stand out in the crowd and offers an aesthetically pleasing design. Plantronics included memory foam and breathable fabric to offer added comfort when using the headphones for extended periods of time. The cups can be rotated 90° degrees in an approximately 10° out. Active noise cancelation switch to toggle ambient noise. Powerful connectivity range of up to 330 feet via class 1 Bluetooth devices. Immersive sound signature with natural tones finely crafted by Plantronics to mimic monitor headphones. The battery life of the device is rated at 24 hours of continuous usage at medium volume levels. The in-package audio cable does improve audio quality if you want to use it in the wired mode without expending battery life. However, enabling noise cancelation will deplete your battery life even in wired mode. A special edition model of the Backbeat Pro 2 is also available which comes with a hard carrying case. Despite being priced lower than peers, it packs a lot of premium features like NFC multi-device connectivity. You can use NFC-enabled devices to connect with your headphones with just a simple tap. The sensors do their job and offer an immersive audio experience. The BackBeats Pro 2 offers powerful bass, and there is no distortion even at loud volume levels. Competitively priced headphones that offer premium features. Stellar battery life at 24 hours of continuous usage. No audio distortion at high volume. Noise cancelation isn’t as good as more expensive options. Also read: Plantronics Backbeats Pro 2 review in detail. The Plantronics Backbeats Pro 2 headphones offer all the features you’d expect from premium offerings at half the price. You can’t go wrong with a pair of these if you can live with the bulky design. 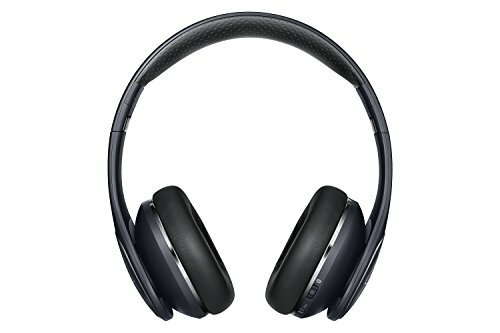 Samsung hasn’t been in the headphone business for too long, but they always manage to come up with functional products that offer value for money. The Korean manufacturer’s Level On PRO headphones offers active noise cancelation and solid Bluetooth performance. The Level On PRO is a successor to the popular Level On headphones. It is a solid product if you happen to use Samsung’s flagship Android devices including the Samsung S series, S Edge series, and Note devices. Samsung offers UHQA streaming on select devices and allows users the ability to tweak the sound to their preferences. The headphones are quite comfortable despite being an on-ear model and happen to be quite compact. The mostly plastic design keeps it from feeling premium, but at the price point, you are able to grab a pair at, it offers all the features you’d expect from headphones that cost more than twice as much. The headphones come with a 3.5mm audio cable, a USB charging cable, a carrying pouch and basic documentation. The touch controls are quite intuitive, and you can control playback, volume and manage calls quite easily on the device. The Samsung Level On PRO is surprisingly light and offers a comfortable audio experience. One of the major drawbacks of the On Pro Wireless is its 10-hour battery life. While it definitely gets the job done for most users, it may fall short of expectations of power users. UHQ Audio support for enhanced audio quality. Smart touch controls for a button-free design. Battery life rated for 10 hours of continuous usage and 200 hours of standby. Portable design with foldable ear cups. The Bluetooth connection holds up pretty well and offers perfect audio output. It manages to handle lossless files quite well, which is surprising given its price point. For an improved audio experience, you can opt to use the headphones using the 3.5mm cable. Samsung also offers a Level app which you can use to tweak audio on your Android smartphone. You get access to a number of EQ settings to fine tune your listening experience. Audio quality is fairly good for its price point, and the ample number of features make it a compelling pair of headphones. Active Noise Cancelation works great. Android app for tweaking audio experience. Samsung’s UHQA audio doesn’t impact audio quality too much. UHQA support is limited to very few Samsung devices. Also read: Samsung Level On PRO review in detail. The Samsung Level On Pro shines if you own a Samsung flagship device due to the added features. Even if you miss out on the UHQA support, it offers solid Bluetooth connectivity and offers a solid feature pool to make it a compelling product for its price tag. 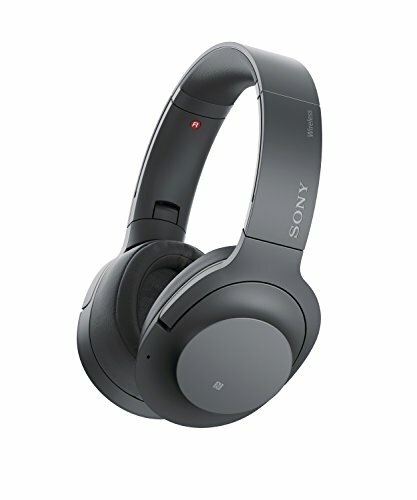 Sony has an illustrious history in creating great audio equipment, and the H900N offers all of the features you’d expect from a premium Bluetooth headset with noise canceling capabilities. The H900N is one of the top-rated headphones online, and Sony’s push at high-resolution music has been paying off with stellar features built into the headset. Sony offers features like LDAC for transmitting high-resolution audio content and digital noise canceling features to complement the already solid hardware package. The Hi-Res Noise Canceling headphones come with a carrying case, connection cable, USB charging cable, and documentation. Sony offers a Headphones Connect app for iOS, Android and Windows to help users fine-tune their audio experience. To make use of Sony’s Bluetooth High-Resolution format, you need to own an Android or iOS device. Hi-Res audio upscaling to improve your music experience. 25 hour battery life with digital noise cancelation enabled. Touch sensor panel for controls. Sony Headphones Connect companion app allows you to customize your sound signature and adjust features. When it comes to the hardware, the cups have hardware buttons meant for controlling ANC, media playback and managing calls. A 3.5mm audio port is available on the headset to use the headphones in wired mode. With a fold-up design and relatively compact form factor, they are great for carrying around if you like to listen to music outdoors. The headphones are relatively light and comfortable even if you use them for long periods of time. Despite being full-sized headphones, they do not make you uncomfortable. The dedicated ANC button is quite useful as you will be able to let the ambient noise in without needing to pause the audio. The noise-cancelation is extremely aggressive and can cut off ambient noise quite well. The ear cups have soft cushioning, allowing you to listen to them all day without feeling any discomfort. The headphones also come in stylish colors including Grey, Black, and Blue. With around 25 hours of continuous usage, battery life is quite impressive on the H900N. The headphones also come with a battery indicator which flashes if you are low on battery. 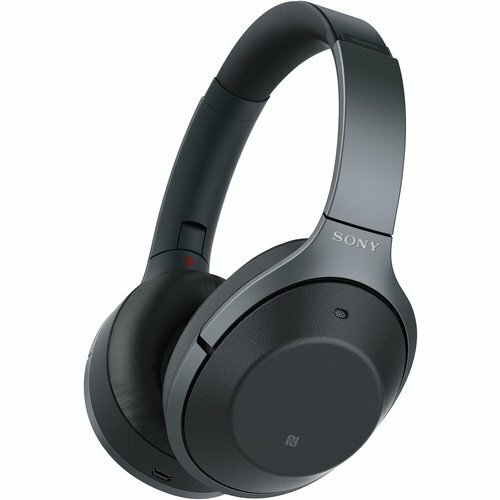 The Sony - H900N Hi-Res (WHH900N/B) headphones are great for people looking for a mid-range ambient noise canceling experience. Compact design with comfortable ear cups. Noise cancelation features are not as good as premium competitors. Also read: Sony H900N review in detail. If you’re looking for wireless headphones with active noise cancelation and budget is not a constraint, the Sennheiser Momentum 2.0 Wireless is a great choice. The German manufacturer went no holds barred when designing the Sennheiser Momentum 2.0 Wireless headphones with top-of-the-line drivers and stellar audio quality. The 2.0 Momentums include a bunch of improvements over its predecessor. The new headphones feature bigger and softer earcups as well as a new folding design. The Momentum 2.0 Wireless is a full-sized headphone but manages to be compact enough for daily usage. You get a stainless-steel design that feels premium and looks classy. With a full 360 degree pivoting design and a mounting pin, you can adjust the headphones to make yourself comfortable like no other headset can offer. The headphones make use of Bluetooth 4.0 and include NFC and noise cancelation sensors. Like many other premium headphones, the Momentum 2.0 has inbuilt support for the aptX codec which can improve audio quality when streaming via Bluetooth. Proprietary Noise Gard ANC system utilizes 4 mics to cut out ambient noise in noisy environments. 22-hour battery life with Noise Gard and Bluetooth enabled. Multi-mic usage during calls to enhance voice quality. Can connect up to 8 devices with 2 simultaneous connections. The right earcup features a host of controls for managing your media playback. It also includes built-in software that uses voice prompts for pairing and battery levels which is quite useful. The headphones have no difficulties when pairing with Android, iOS or Windows Phone devices. Noise cancelation is always on by default, and it does a great job thanks to dual mics that help keep ambient noise to a minimum. Using the mics for phone calls allows you to hear your own voice as well to prevent you from speaking louder than necessary. The Momentum 2.0 Wireless headphones do a great job at streaming audio wirelessly, and there are no performance issues whatsoever. The drivers manage to handle heavy bass and sharp treble meticulously with enough detail even at loud volume. Sennheiser promises 22 hours of continuous usage with ANC on, which is quite impressive and it should easily last you a few days or light usage. Spacious sound signature and great audio quality. Dual microphone-aided noise cancelation is great. A bit Expensive so not recommended for users looking for entry-level headphones. Noise cancelation cannot be turned off when using Bluetooth. Also read: Sennheiser Momentum 2.0 review in detail. While its pricing may put off many, you get premium features and some of the best noise cancelation you can get out of wireless headphones from a pair of Momentum 2.0s. It is a great option if you have a high budget for an ANC headset. If you are looking for an entry-level solution for your ANC audio needs, the AKG N60 NC is a bang for buck headphone that is compact, feature-rich, and offers enough features to justify its price. You can, however, grab them for about a discounted price online most of the time. The headphones are extremely compact and come with a carrying case and multiple connectivity cables to make it the ideal travel companion for music lovers. The headphones make use of premium materials like aluminum and leather to offer a premium build quality on a budget. The memory foam cups adjust to your earcups to offer a custom fit. AKG N60 cut no corners when designing the headphones and the availability of premium materials at such a low price point speaks volumes about the brand. 3D Folding mechanism allows users to carry the headphones around with ease. Comes with a fully accessorized travel package with a range of audio cables for seamless connectivity. Acoustic sound signature with a warm bass that does not feel aggressive. Premium construction quality with metal headband and leather-wrapped design. 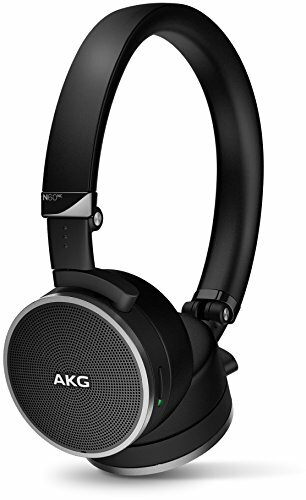 While the AKG headphones do not come with replaceable AAA batteries like many of its competitors, the non-replaceable battery offers a solid 30 hours of usage with noise canceling enabled. You can also connect the headphones to one of the offered audio cables to listen to music without eating up your battery. The headphones do not come with a usual micro USB charger, and you have to rely on a 2.5mm pin to USB adapter for charging purposes. One of the cables comes with an attached remote, which offers play, pause, and call handling functions but there are no call volume controls. The audio signature is quite clean and offers solid ambient noise cancelation that manages to dampen any background noise during regular usage. The sounds feel natural and not overly processed, which is great if you are looking for natural sounding headphones. The audio has a lot of depth and considering the price point; it is one of the best ANC headphones you can get for its price. Battery offers 30 hours of continuous usage. Lacks a micro-USB charging port, relies on 2.5mm adapter instead. Lacks volume controls on the remote. Also read: AKG N60NC review in detail. Despite a few minor drawbacks like the lack of volume controls on the cable and a lack of a micro-USB port the AKG N60 does quite well when competing against higher-priced headphones. 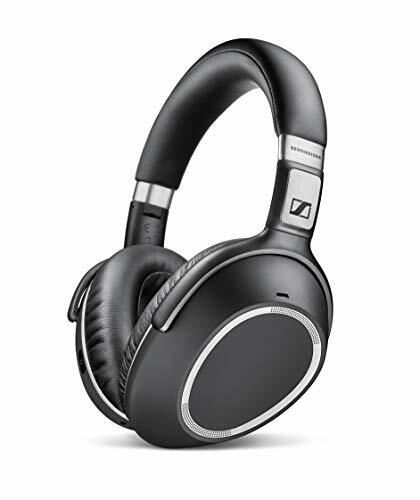 If aesthetics do not matter as much to you as audio quality does when it comes to high-end Bluetooth headphones, the Sennheiser PXC 550 Wireless is one of the best noise canceling headphones you can buy. It falls under the premium range of headsets. One of the most highlighted features by Sennheiser on the PXC 550 is the ability to customize sound modes via the CapTune app for iOS and Android. The headset boasts touch controls and 30-hour battery life on continuous usage. You have access to smart pause and on/off buttons as well to control your audio playback. 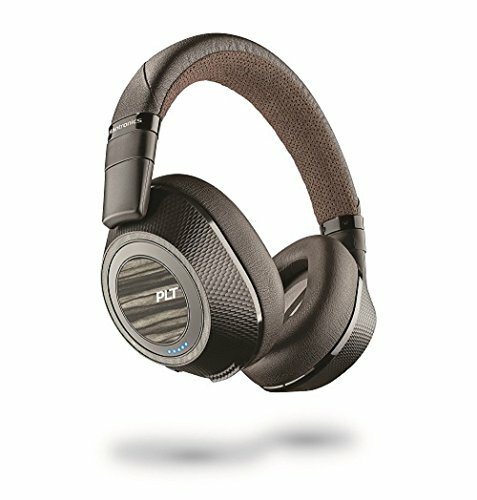 Bluetooth 4.2 with adaptive noise cancellation features. CapTune app allows you to stream music with ease and control. Triple microphone array allows users access to business class communication. Built-in USB sound card for high fidelity music. The PXC 550 is very comfortable and lightweight. The ear cup design is quite different from most other headsets in the category with the ear pads being very puffy. Everything about the Sennheiser PXC 550 makes us feel that Sennheiser put comfort ahead of other design factors when crafting these premium headphones. They are great for long periods of usage and the quality of the product is backed up by its excellent sound quality. The classy design is meant for business users and its collapsible design means you can carry it around with ease. The headphones cancel out any ambient noise quite easily without distorting your music or phone calls. With multiple microphones built-in, it delivers rich microphone input when using the headphones for calling. The sound output is quite natural and offers a pleasurable audio experience to users. Comfortable design with puffy ear cups. Lacks slight detail in sound compared to other premium offerings. Also read: Sennheiser PXC 550 review in detail. The PXC 550 is one of the best products Sennheiser has to offer in the premium segment. With great battery life and solid noise cancelation capabilities, you can’t quite go wrong with the product if you’re looking for something in the mid range. Beats is often regarded as a lifestyle brand, and they happen to make some of the most popular wireless design. Do not let the youthful design fool you, as they pack quite the punch when it comes to audio quality. The Beats Studio 3 is the company’s flagship noise-canceling headphone. With it’s current price tag, you get a comfortable headset that does not shy away from offering striking aesthetics and deep sound. The updated Beats Studio 3 from 2018 offers a new W1 chip which makes connecting to Apple devices extremely simple. It offers up to 22 hours of continuous usage and twice the noise canceling capabilities compared to the previous generation Studio 3 headset. The soft ear cushions offer a closed audio experience with enough venting to keep your ears comfortable when listening to music for long periods of time. Adaptive noise canceling technology developed by Beats and Apple. Real time-audio calibration to fine tune audio to your music taste. Tight integration with iOS and Apple WatchOS for added functionality. Beats is often associated with a bass-heavy sound signature. But that is not the case when it comes to the Beats Studio 3; it offers a well-rounded sound experience with great treble and clean audio. The headphones come with a carrying case, micro-USB adapter for charging and a RemoteTalk cable. When it comes to the build of the device, you do not get access to a foldable design which can be a deal-breaker if you are looking for something you can just fold and carry around. The Studio 3 can also double up as a full-fledged headset with a dedicated mic for calling. The Studio 3 boasts of its new Fuel technology which allows you to get 3 hours of usage time in just 10 minutes of charging. Aggressive noise canceling without distorting audio output. Competes well against competing headphones with its balanced sound signature and well-rounded audio quality. 22 hours of continuous usage. Does not have folding mechanisms making it difficult to be carried around. Also read: Beats Studio 3 review in detail. Beats headphones have come quite a long way from being bass-heavy headphones to offering high-quality audiophile-quality performance. The affordable price tag makes it one of the best noise canceling headphones out there due to its sheer value for money. The Bose QuietComfort 35, or popularly known as the QC35 is often regarded as the headset with the best active noise cancelation. While there are competitors that one up the Bose QC35 in terms of Bluetooth audio quality if you are simply looking for the best-in-class ambient noise cancelation, you don’t need to look further than Bose’s QC35. With the brand’s reputation in the aviation industry and countless professionals recommending the brand, the wireless flagship offers much more than most of its competition. The QC35 is extremely lightweight at just 8.3 ounces. It offers a stable fit thanks to the soft headband and comfortable ear cups. Bose included microphones both inside and outside of the earcups which are connected to digital electronic chips for each ear. The headphones use premium materials and a flexible headband to ensure you have a comfortable audio experience. 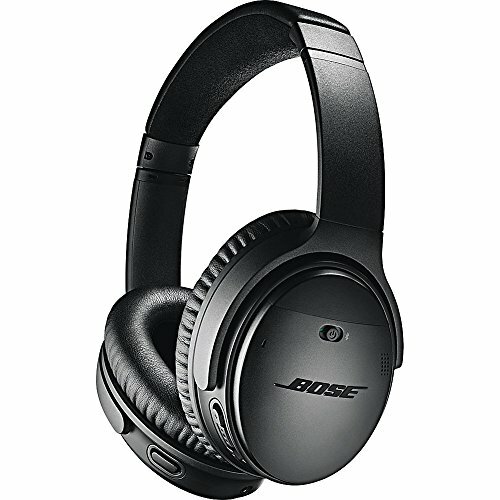 If you are coming from the Bose QuietComfort 35 (Series II), you may be disappointed to know that Bose has ditched the replaceable AAA battery setup in favor of a non-replaceable Li-On battery to power the headphones. You get 20 hours of continuous usage on a single charge. Noise rejecting microphone system to offer an enhanced calling experience. Choose between 20 hours of battery life via wireless connectivity or 40 hours of wired usage with ANC enabled. Voice prompt-enabled connectivity and media control features. Volume optimized equalizer for ensuring your music sounds perfect no matter the ambience. Unlike the QC25, the integrated cable does not include a microphone so you will have to rely on the built-in microphone for your calling needs even in wired mode. The QC35 comes with an audio cable for using in wired mode as well as a micro-USB charging cable. The headphones have an integrated remote in the right earcup for adjusting volume, managing media playback, and handling calls. To customize your audio experience, you can download the Bose Connect app for iOS and Android which allows you to manage various settings for your headphones. The headphones are compatible with any Bluetooth enabled device that supports A2DP streaming. Audio quality is just great and enabling ANC allows you to focus on the music only. It offers a clear sound signature that feels completely natural. Bose is known for its natural-sounding audio, and the QC35 is no different from the brand’s other premium offerings. Has the best ambient noise canceling capabilities in the market. Also read: Bose QuietComfort 35 (ii) review in detail. The QC35 is the best noise canceling headphones you can buy for a reasonable price. It offers all of the features we’ve grown to love from Bose headphones and brings them in a wireless package with best-in-class comfort. While the Bose QC35 may be the king of noise canceling headphones andH1000XM2 falls slightly short in the active noise cancelation department, Sony manages to trump the QC35 in terms of audio quality and features. The Sony headphones offer more features that you can imagine, and it is truly a well-rounded, smart headset that ticks all the right boxes. You have access to Google Assistant at the tap of a button, which is an immensely useful feature to have on any headset. You also get access to Sony’s proprietary DSEE technology that can upgrade the quality of your MP3 files to Hi-Res files for an enhanced music experience. You also get access to Sony’s Headphone Connect app for controlling the EQ for a customized audio experience. The noise canceling features are helped by atmospheric pressuring optimization, sound position control, and ambient sound control. While the features sound very technical in nature, for the end-user, you get a pure audio experience no one else can offer. Smart listening feature that adjusts noise cancellation levels based on ambient noise automatically. Gesture based volume control to communicate without taking your headphones off. Google Assistant support for mobile devices. Touch panel built into the headphone for media controls. You can use get 30 hours of usage out of the headphones at moderate volumes and offers 70 minutes of battery life in just 10 minutes of charging via the micro-USB cable. The headphones come with a carrying case, micro-USB cable and a 3.5mm wire to wired usage. The textured finish and comfortable ear cups make the headphones a joy to use even for extended periods of time. Even though the Sony WH1000XM2 offers a plastic design, it feels just as premium as leather counterparts due to the textured design and comfortable materials. You have access to touch controls that allow you to move between music tracks, control playback and manage your phone calls. Feature-rich headphones with Google Assistant support. Battery life is stellar with 20 hours of usage at medium volume levels. Noise-cancelation features fall short when compared to other competing headsets at the price point like the QC35 by Bose. Also read: Sony WH1000XM2 review in detail. The WH1000XM2 is a go-to purchase for anyone looking for noise canceling headphones. It offers more features than any other headset for the price and has the perfect price to performance ratio. You get the best possible audio experience out there out of these Sony headphones. Audio quality is a very subjective topic, and it all depends on what kind of sounds you are looking for. You should try out a few headsets to get a good idea of what they sound like before finalizing on a purchase. Comfort should also be a priority as not all headsets are equally comfortable for all users. The best noise canceling headphones offer the right mix of features, pricing, and audio quality and with so many great options that we have listed, we’re sure you’ll find the right headset for you!